A beautiful three tiered stacked square wedding cake. Stunning blushed pink sugar Roses are nestled between the offset tiers and crown the cake. 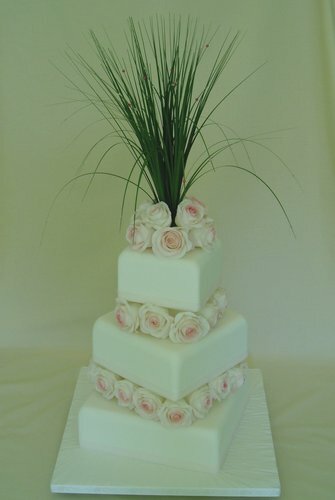 Delicate Bear Grass with beads and crystals adds a dramatic accent to the cake.